OLD PARKED CARS. 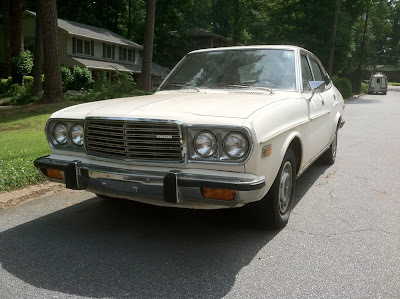 : Reader submission: 1976 Mazda RX-4. 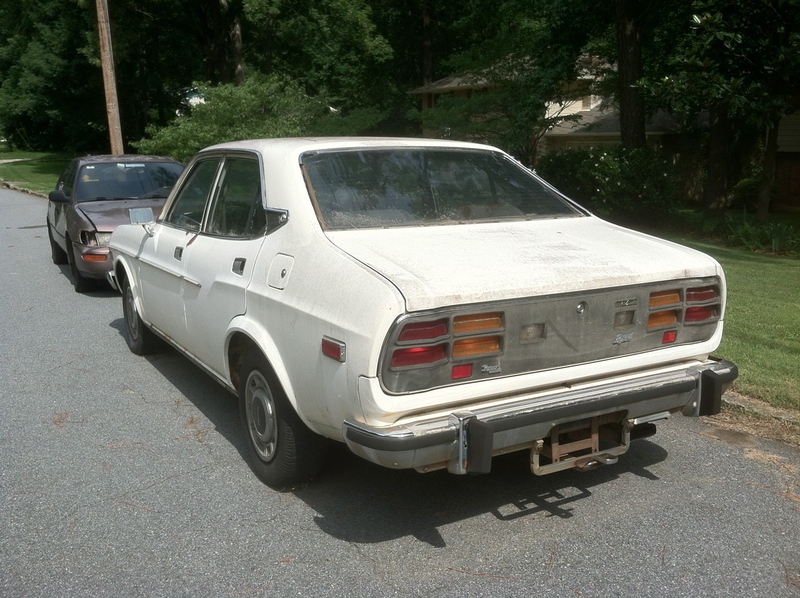 Reader submission: 1976 Mazda RX-4. These shots were taken northeast of Atlanta. Thanks to blog reader Evan M. for the excellent find. Wow! Unbelievable find! Love that rear. Those lights and light panel are really weird. Also check out the creases on the side! 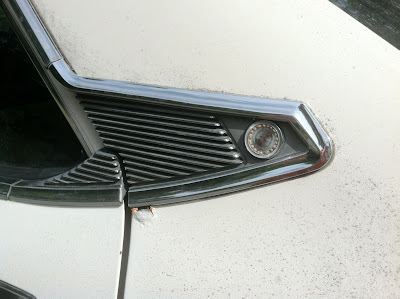 And the swoopy vents! And the patina! And the original condition! Damn, basically everything you said, Seattle. Except-this is how a RX of this vintage SHOULD look-no Watanabe's, lipped bumped, lowered ride height or candy paint, none of that gaudy crap. Wow that's great to see. Really surprised how much of the Maserati Quattroporte appears in this design. Amazing back panel and C-Pillar, and the beetle face. that is a nice find. 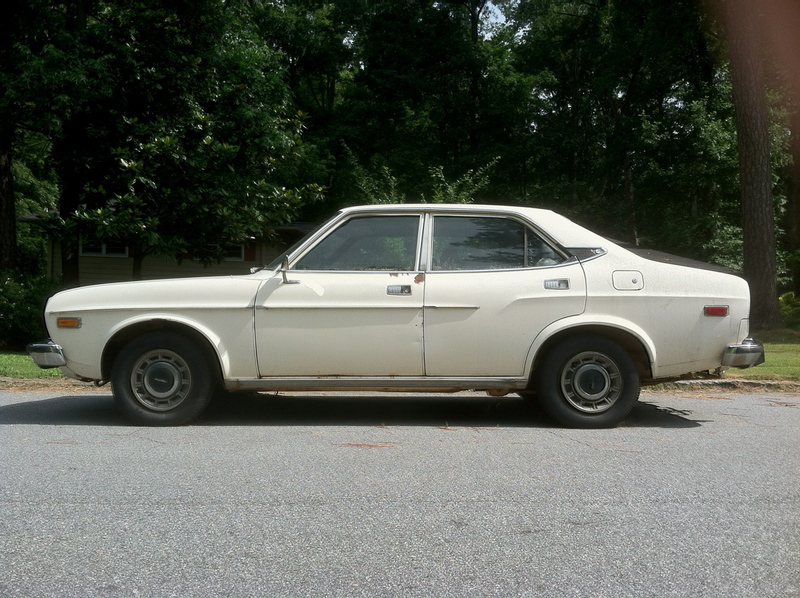 they americanised the front and rear ends in 76 so it looks different from the 74-75 models. If you can find a 74 rx4 coupe, that would be the most original version you could have with the flush bumpers and the weird quad pod taillights and muscle car looks. unfortunately that 76' redesign took it from Japanese muscle to american boulevard cruiser real quick, but it is still a nice find.